This Saturday, June 7, I will be appearing as a guest of the wonderful Author Janice Ross, on her Blogtalk Radio show, Cultural Cocktails. You can tune in live at 08:00 EST (1:00 pm UK time) or you can tune in at your convenience by clicking on the link below anytime after the event. Remember though, that the advantage of tuning in live is that you will be able to phone in and chat to us, if you wish, and you can do this via Skype free of charge. We will be discussing my latest book, Universal Law: An Idiot’s Guide plus loads of other “stuff”. Hope you will join us this Saturday for Cultural Cocktails! 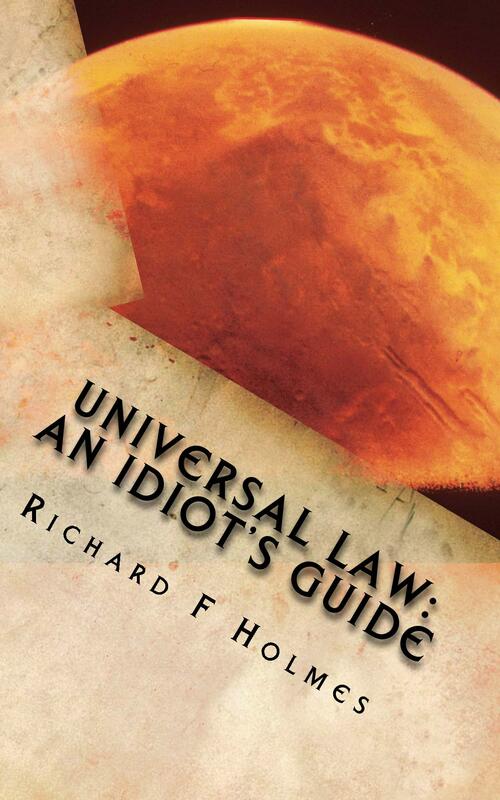 I’m proud to announce that Universal Law: An Idiot’s Guide is already available as a paperback in the US. It should also show up on Amazon UK within the next couple of days. I have not formatted for Kindle yet; and the official launch date remains 22 April, but the Kindle-ready cover can be seen below. An Idiot’s Guide is a short book of only around 60 pages, hence the low price, but the aim of the book is to provide an insight, by way of a simple and concise guide, into how creation and the universe functions. It does in no way claim to be definitive, but it will be a valuable tool in helping you to attract more abundance into your life. 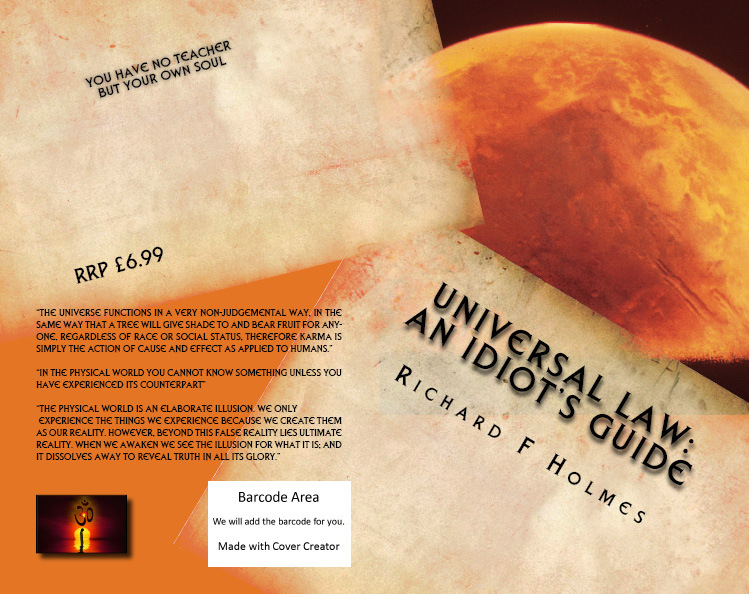 My latest book Universal Law: An Idiot’s Guide is moving along very quickly and very near completion. So, I’m really pleased to be able to post this short extract AND, at the same time, provisionally reveal the cover to you. I have already tweaked it slightly and there may be one or two further tweaks before I publish. But for now, here it is! This law really is simplicity personified. We are all always right from our own perspective, whatever the situation. What we believe becomes our reality. 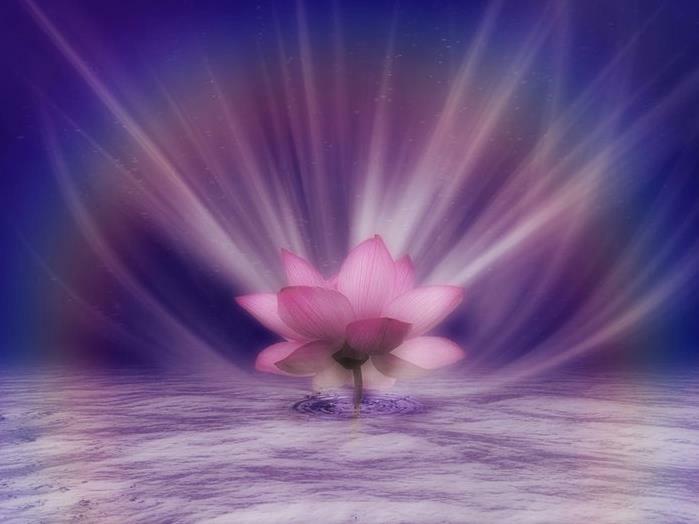 However, our perceived reality may not always be in line with our soul purpose; and this is where things can get tricky. We have already stated a number of times that all the laws are interlinked in one way or another. So, if for example, our perceived perspective is quite bigoted then we are responsible for the vibration these views create and will one day have to deal with the consequences. Things are never as they seem; always look beyond the surface for a truer picture. The purpose of the book is to explain how the universe functions and how this functionality affects the day-to-day lives of human beings. Of course, in line with all my other publications, it is my intention to make it as simple as possible to understand. Hope you enjoy this extract. 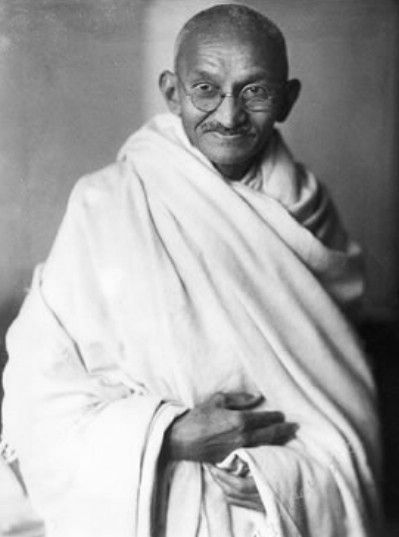 Another very, very simple law to understand; “karma” is a Sanskrit* word, meaning action. The action in this case is the action of cause and effect. Of course, the age-old adages of “what goes around comes around” and, “you reap what you sow” are other ways to explain the Law of Karma. However, the trouble with those sayings is they imply that karma means punishment; and nothing could be further from the truth. A more correct way to explain this law is that we are responsible for all our actions in accordance with cause and effect. 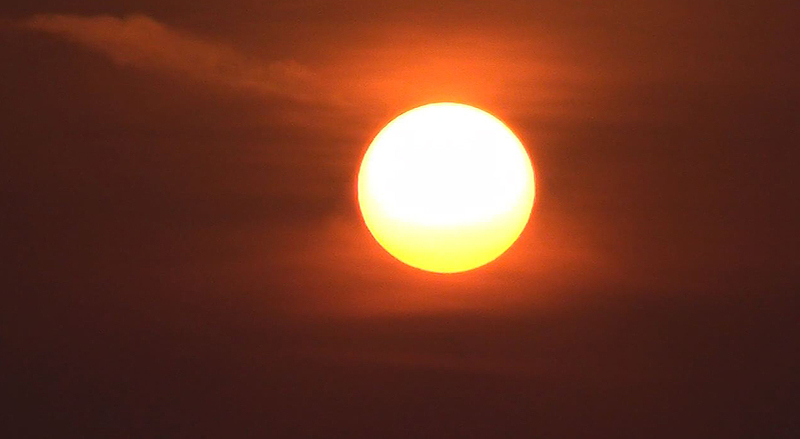 Because creation moves in cycles it stands to reason that whatever we create through our actions, be it negative or positive, will at some point return to us and we will have to deal with it. The universe functions in a very non-judgemental way, in the same way that a tree will give shade and bear fruit for anyone, regardless of race or social status, therefore karma is simply the action of cause and effect as applied to humans.